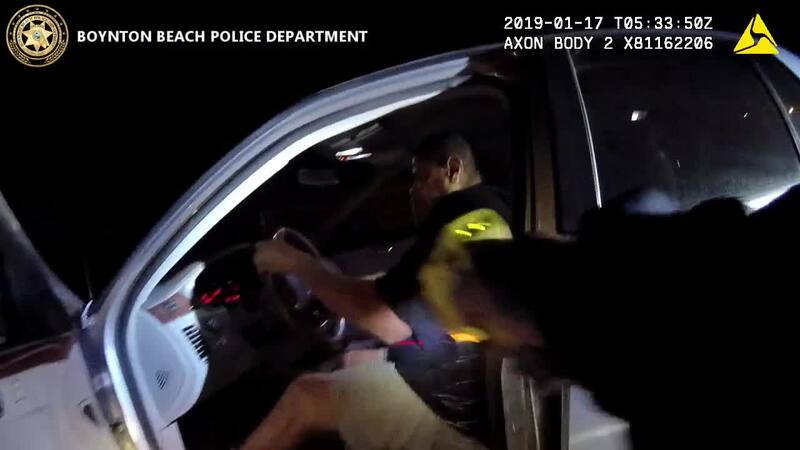 BOYNTON BEACH, Fla. — Newly released body camera video shows a Boynton Beach officer being dragged during a traffic stop, police say. 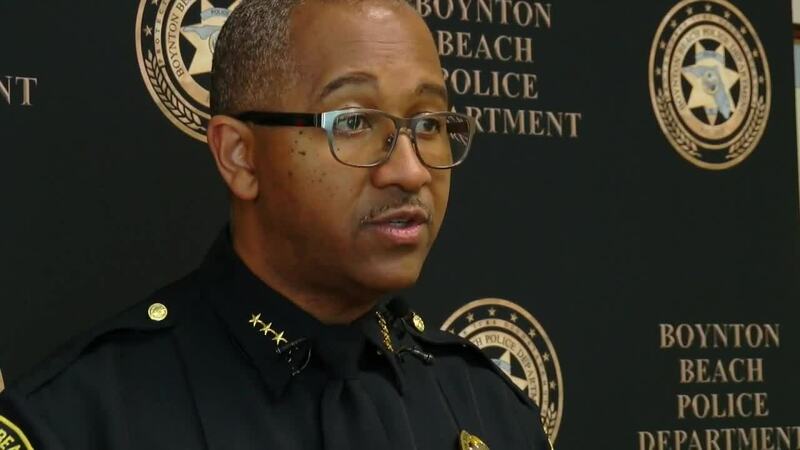 "I say it, every law enforcement professional in the ICP and the FBI say that traffic stops are all the most dangerous type of incident officers are involved in," said Boynton Beach Police Chief Michael Gregory on Wednesday. According to an arrest report, a female officer pulled over 47-year-old Timothy Tristan Jones in the 2900 block of Ocean Parkway on Jan. 17 because he had an expired tag. "The driver refused to comply and kept placing his hands in his pockets, fidgeting, and looking around as if he were going to flee." Police said Jones walked back toward his car, and the officer told him to stop or she would have to deploy her taser. Jones refused, and the officer deployed her taser, hitting Jones in the back and causing him to fall forward into the driver's seat of his vehicle, according to police. "Send a unit, black male tased," the officer said in the newly released body camera video. "Help, help, help!" Jones can be heard shouting. According to his arrest report, Jones started to drive away, but the officer grabbed the keys out of the ignition to stop the vehicle. Police said Jones pushed the officer to the ground, took the keys back, and began to drive away again. "As the vehicle was in drive, the driver was attempting to shut the door, pinning (the officer) between the B pillar and the driver's side door." Police said Jones dragged the officer 350 feet down the road before she was able to free herself. The officer was treated for road rash injuries at Bethesda Memorial Hospital. Jones eventually turned himself in at the Palm Beach County Jail. He's facing several charges including aggravated battery on a law enforcement officer, resisting arrest with violence, and aggravated fleeing and eluding. In the past month, three Boynton Beach police cars have been hit during traffic stops, according to the department. "We are just so fortunate our officer was not seriously injured in a result of those," said Chief Gregory. The Chief wants all drivers to follow Florida's Move Over Law by moving over or slowing down to 20 mph below the speed limit when an officer is on the side of the road. "It is a serious thing that is related to distracted driving," said Chief Gregory. "Some of it is related to careless driving."